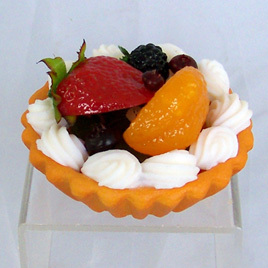 Mini mixed fruit tart with whipped cream. 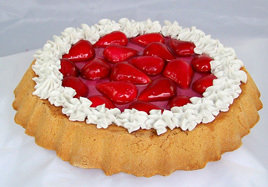 Base of tart is made of salt dough and needs to be kept away from moisture. 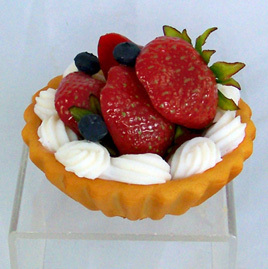 Mini strawberry fruit tart with whipped cream. 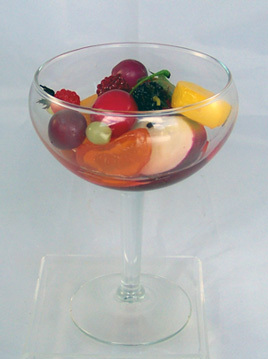 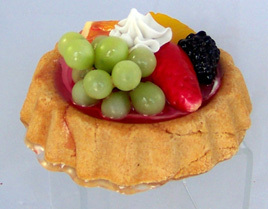 Small assorted fruit tart topped with whipped cream. 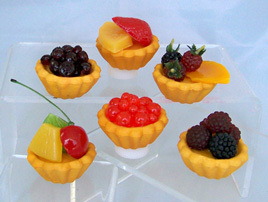 Mini mixed fruit tarts with whipped cream. 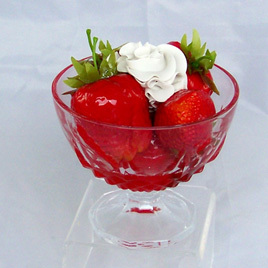 Large strawberry tart topped with whipped cream. 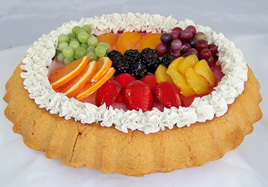 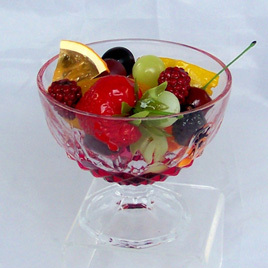 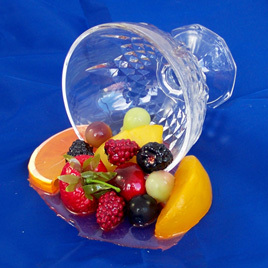 Large mixed fruit tart topped with whipped cream.